The head of Russia’s World Cup organizing committee has said he is not aware of any incidents of inappropriate behavior towards Russian women by foreign fans, even as women are increasingly subject to online abuse from their countrymen over their sexual preferences. “I have not heard about any cases of sexual harassment. As far as I know there are no serious problems,” Alexei Sorokin told journalists on Friday at Moscow’s Luzhniki Stadium, the Interfax news agency reported. He added that “the authorities would take measures” if incidents crossed into the criminal sphere. Sorokin’s statement comes at a time when Russian women are reportedly being harassed online for fraternizing with foreign football fans. Russian social media users and several social media groups are sharing footage and shaming women whom they accuse of humiliating themselves or their country by hanging out with foreigners. 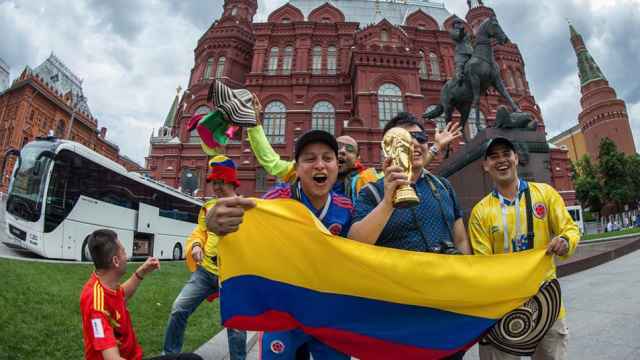 The commenters seem particularly incensed by a video showing a group of male Brazilian fans encouraging a Russian woman to say a slur for female genitalia on camera. The video went viral several weeks ago and was widely condemned as being unfriendly to women. 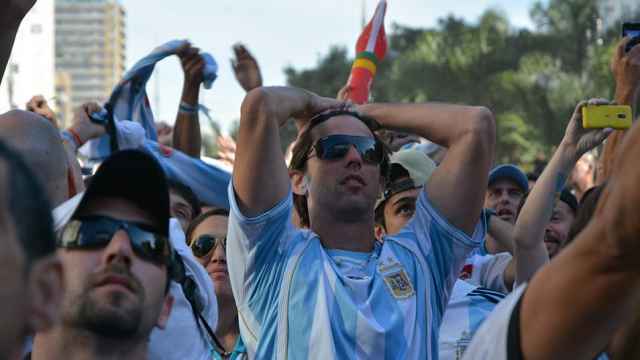 One of the men has since been fired by his employer in Brazil, media reported. Meanwhile, online abuse has reached such levels that popular Russian sports blogger Yury Dud called on Russian men to leave women alone in an opinion article last week. The social media platform Vkontakte has also issued a warning to its users against posting women-unfriendly content, a spokesperson for the social media company told the Vedomosti business daily last week. It gave an especially strong warning to the administrators of one group page, which is named after the derogatory Portuguese term, and several other groups to moderate their comments. The page was created on June 19 and has more than 5,000 followers. It publishes footage and articles of what it considers to be inappropriate behavior by Russian women during the World Cup. Comments beneath the posts label the women “Natashas” — a derogatory name for women considered loose — and accuse them of putting the country to shame. Some of the commenters even call for physical violence. Since the warning, some of the most threatening comments have been deleted, Vedomosti reported. But a cursory glance at the page on Sunday showed there were still dozens of often racially-tinted derogatory comments. The presence of Iranian female fans in stadiums across Russia is a tense subject back home. 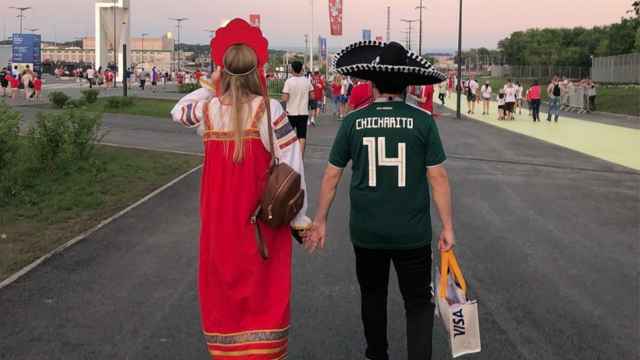 A senior lawmaker has implored Russian women to avoid entering into intimate relationships with foreign World Cup fans. The manual was presented to players, AFA staff and media earlier this week.